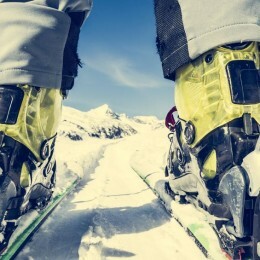 Using the best all-mountain skis for speeding down the slopes, slaloming, roughing it through mountain peaks or testing that fresh powder – skis offer a great variety of recreational activities for all sorts of adventurers and sports enthusiasts. For people looking to spend their holidays with a lot of fun crowds, skiing throughout the day and taking a Jacuzzi dip at night, resort skiing is an excellent option. More experienced skiers, on the other hand, can claim the highest peaks and feel on top of the world. For the adventurous, and a bit crazy, there are plenty of options as well, such as aerial skiing. Even though all these styles and the people who enjoy them are utterly different, they all have one thing in common – the importance of quality ski gear. 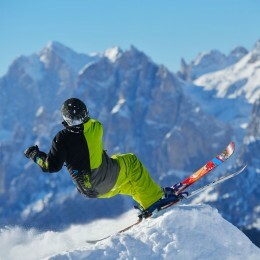 Skiing is an amazing opportunity for sports enthusiasts to test their limits and explore nature in a breath-taking way. However, it can also be dangerous without the right gear. The clothes, boots, and poles are definitely important but, obviously enough, an essential piece of gear are the skis themselves. Quality skis provide safety, maneuverability and are easy to control for both beginners and pros. Having skis that can be counted on when in the mountain, especially in more extreme conditions, can make the difference between the experience of a lifetime and an utter nightmare. Furthermore, purchasing skis that only work for one type of terrain is too restricting for the vibrant nature of most skiers. To make shopping a bit easier and help you move on to those slopes as soon as possible, here is a list of the best all-mountain skis. This is a truly impressive piece of gear. It is sleek, elegant and unpretentious in design while offering some of the most amazing features on the market. The wood core is coated with the most high-quality materials – titanium and carbon fibers, making these skis very light and easy to maneuver. Moreover, there is a cambered inside edge and a rockered outside one, which helps maintain control in every situation and terrain. Also, with the Elam Aphibio, you will never again have to worry about bumps and small imperfections on the slopes – the Waveflex system absorbs all the spoiling vibrations. A supreme carver, though it might feel a tad shaky at super high speeds because it is so lightweight. These skis provide an effortless ride for any type of experience. 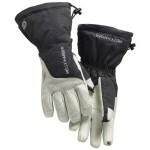 They are designed specifically for women and are about 30% lighter than their unisex counterparts. This extremely advantageous technological achievement is the result of the double composite stringer in the wood core. 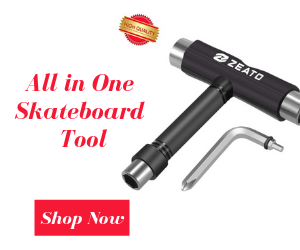 Not only are these super easy to carry around, but they are also a total pleasure to ride and do especially well with slalom, as their maneuverability is exceptional. If what you are looking for is more than speed, these skis will prove worthy. This is a special piece of gear, very girly looking but with the power to conquer all. The Mya 9 are especially good for powder, those untouched mountain tops or lush forests have never been so accessible. 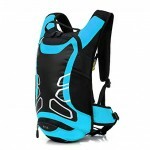 Very stable, with great floatation, that provides comfort and stability. These skis have been designed to do amazing work with soft snow, using their progressive radius. Besides, the technology used combines a tip rocker and vibration-absorbing fibers, which makes Mya 9 not only beautiful but also very safe in the craziest of terrains. 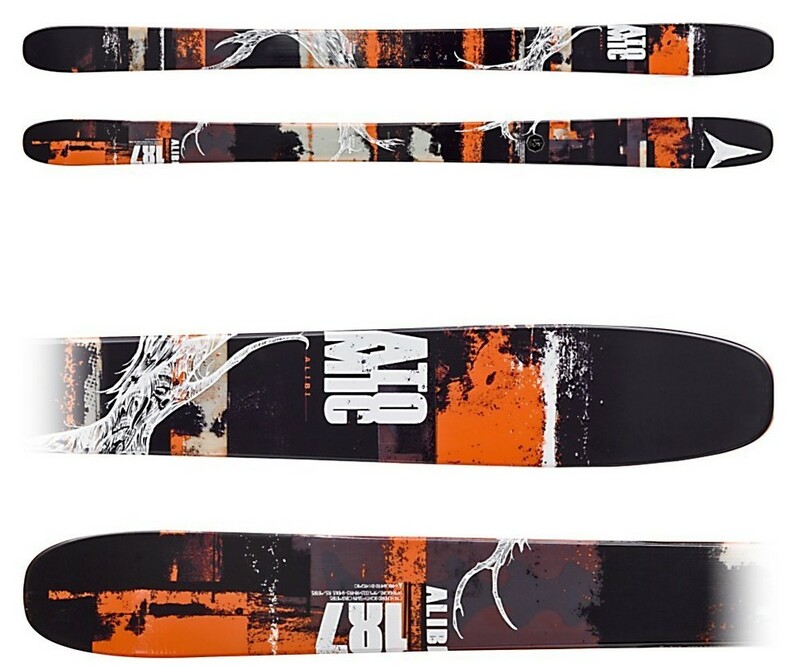 From the core to the last coat of paint, these skis are an all-around great choice. 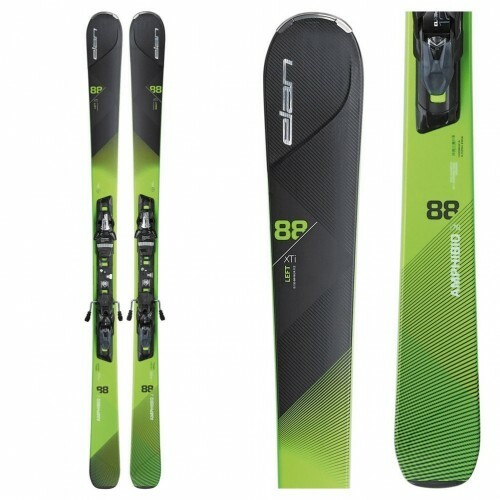 These are some of the best all-mountain skis, as they are very versatile and offer a wide variety of technological tricks, which make riding those slopes a pleasure, no matter what the skier’s style of choice. The core is made out of paulownia and maple blend wood, while the top layers are out of titanium and fiberglass. 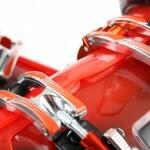 This means that the skis are very durable, not a piece of gear that will leave you hanging in the middle of nowhere. The tip was specifically designed to aid floatation and reduce chatter, maneuverability is excellent and edge grip – supreme. Annex 98 has a super vibrant, young, yet elegant design. 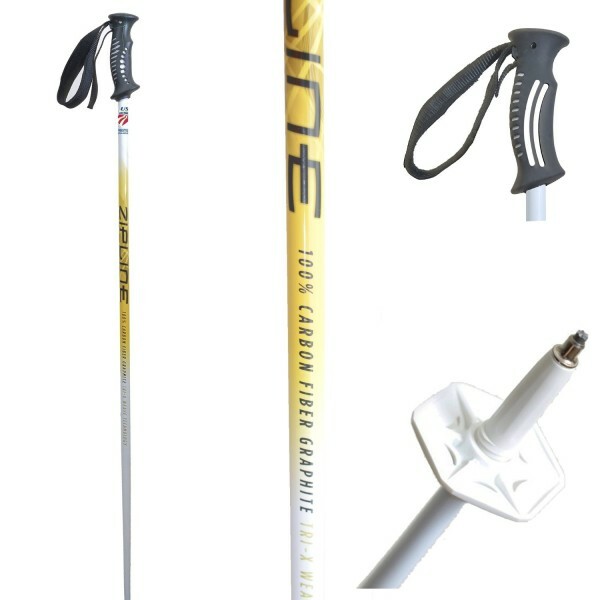 This is an amazing pair of skis for the young of heart. A product of earnest quality, that allows for careless fun, no matter what the objective. 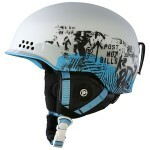 This is a down-to-earth piece of gear that can elevate any skier’s spirit up above the highest peaks. The core has a special little trick – there is a vertebrae-shaped titanium strip inserted in the wood, which makes these skies very stable. 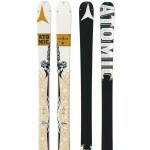 Super playful and submissive, the Atomic Alibi have a tip and tail rocker that makes sharp turns a blast. This is a piece of gear that fits all ladies perfectly. 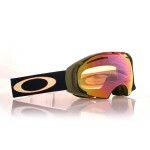 The Solomon Lumen are comfortable, stable, versatile, lightweight and bring pure, old-fashioned slope excitement. One of their best qualities is that they are easy to manage for both very experienced and completely inexperienced skiers, as their lightweight and form make them easy to control. 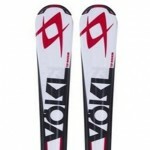 This is a wonderful choice even for the first pair of skis, as they behave wonderfully both on soft and hard snow. Very floatable in powder, but stable even on beaten down slopes. The honeycomb pattern in the tip is an especially nice touch since it makes turning absolutely effortless and helps skiers float through the white powder. 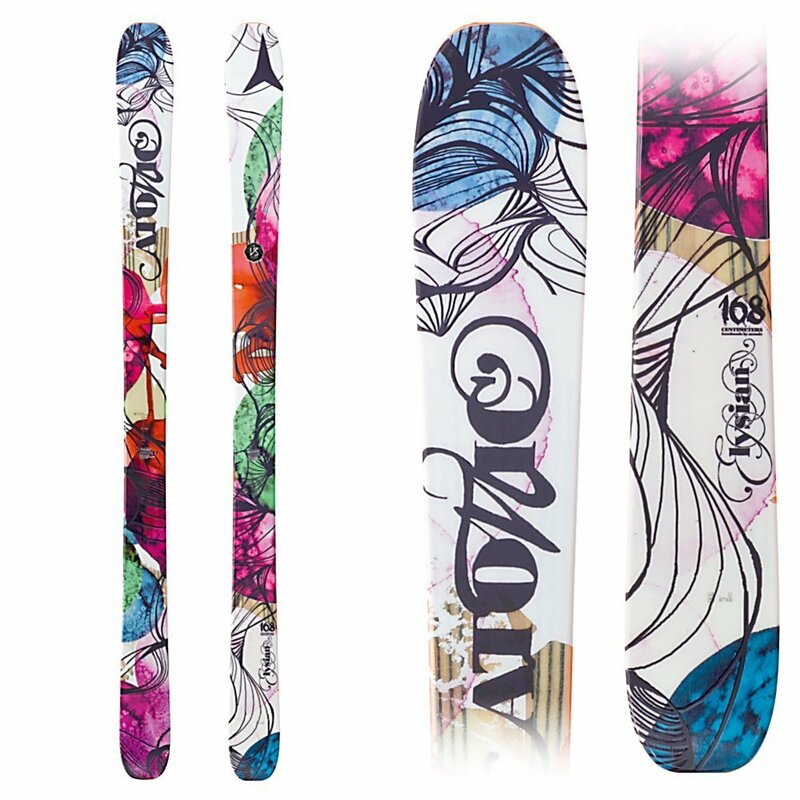 These vibrant, lively and colorful skis are a treat for riders with a bit more experience. Even though the Atomic Elysian could not be called lightweight, with their full wood core, they are very durable and can withstand pretty much any type of terrain. The most adventurous of spirit, who can never be contained with the regular slopes, will find these skis to be a great companion in the craziest experiences. The vertebrae-shaped carbon layer makes this piece of gear a tough one. 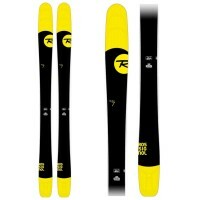 The skis also feature a twin tip design, as well as modest tip and tail rockers. Very maneuverable and versatile, but stable enough to be pushed to the limit. A super sleek piece of gear, a real killer on the slopes, with a taste for speed. These skis are designed for women, though they are very far from girly. Rather, they are powerful speed machines that make sharp turns a breeze. They feature the Aphibio technology, with a cambered inside edge and a rockered outside one, which is why they are so easy to steer. The laminated wood core is not the most lightweight but is still comfortable and fairly simple to control. 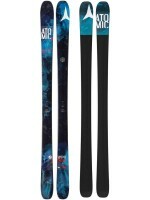 These skis are a real classic, but they have been updated to cater to the needs of modern skiers, with a need for speed. The new version has a wider sidecut and a rockered tip, which makes turning and floating much easier and more enjoyable. This is a very stable piece of gear, with its wood core, covered in titanium and torsion box construction. 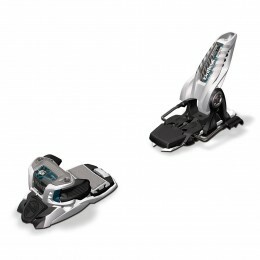 Even at high speeds and rough terrain, these skis help maintain balance and stay in control. Skiing with kids can be an amazingly rewarding experience that makes the sport way more fun. However, for that to happen, the kids should actually enjoy riding the slopes and a powerful, safe piece of gear can ensure that happens. The Salomon Threat are equally exciting for boys and girls, featuring a super lightweight foam-core and a twin tip for mastering that powder. Choosing the best all-mountain skis is not always easy, but it certainly is a very important decision. Every skier requires a different piece of gear, depending on their size, experience, and goals. However, the choices above are suitable for almost any terrain and are guaranteed to impress.